Right, that’s it, I’m calling it a day, at least at this place, and under this name. I will re-materialise somewhere else, very soon. If you need further directions to somewhere else, e-mail me. Thanks to all readers and those who have left comments here down the years. On his excellent blog La pupila insomne, Cuban blogger Iroel Sánchez Espinosa collected the perspectives of five prominent Spanish activist intellectuals on the 15-M movement. These perspectives were originally published on 28th May. Below is a translation of the views of each, which I had intended to publish sooner but alas forgot. However I think they are still very relevant, especially in light of the massive turnout in sweltering Madrid heat on the 24th of July past, which indicates that the 15-M movement is growing stronger, not receding. My thanks to Iroel for allowing the translation to be published here. I have taken the liberty of abbreviating the biographies somewhat, due to the fact that few readers will find the longer biographies of any use. For years, the Spanish political system has built up a grave crisis of legitimacy. The starting point for the crisis can be found in the Transition process, which, instead of link with the democracy ‘murdered’ by the civil war, gave continuity to an important sector of Francoism. During the Transition the social left (neighbourhood movements, union bases, leftist party bases, Christian bases, nationalist movements..) gave way, made concessions, folded, or went home. This was all in order to avoid a new civil confrontation. 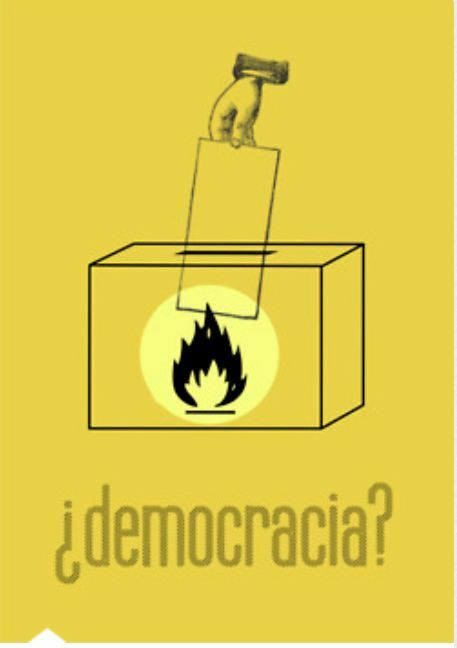 As years passed, “Spanish democracy” did not evolve into a system of greater participation, of deepening of political and social rights, nor did it manage a real separation of powers, nor did it dissolve the Francoist power structure –it only managed it partially with the military, but not so with the judiciary, nor in the State executive, nor in the Church-. The Francoist apparatus and social bases continued to hold great power and political influence. The alternating in power between the PSOE and PP has closed the political spectrum and blocked the possibility of a real democracy –or at least one that is not subservient to Francoism. The PSOE has undertaken the task of dismantling the productive system in line with European demands (industrial rationalization in the 1980s, dismantling of the public sectors). When the economic crisis spread, the ghost of Francoism was roused and the PP took up the task of warning us that “everything could be worse”, which is to say, there could be less niceties and more repression. Sunday past there was a poster in the square that read “I voted for Sol”. The twenty-five thousand people who challenged the law on Saturday in the Puerta del Sol, the thousands of people who peacefully resisted yesterday in the Plaza de Catalunya have brought an independent variable to political life: there is an ever greater section of the population that has lost its fear and that wants a real change. Ángeles Diez lectures in Political Sciences and Sociology at the Universidad Complutense de Madrid. Whilst too early to make political predictions in the strict sense of the term, I think we can now speak of a great social triumph. Marx said that the most important result of a mobilisation is the way in which it transforms the people who participate in it. And after the mobilisation of 15-M, many young people –and many not so young- will not be the same again. The confluence of a series of circumstances has allowed the gains from previous experiences (the okupa movement, protests against the Iraq invasion, social forums), empowered by alternative media and social networks, to reach a turning point (or a boiling point) and bring forth a situation that is qualitatively different and full of possibilities. That famous conversion of quantity into quality. And vice-versa. Carlos Frabetti is Italian but lives in Spain and writes in Spanish. He is a writer and mathematician, and member of the New York Academy of Sciences. He is president of the Association against Torture and founding member of the Alliance of Anti-Imperialist Intellectuals. I am of the opinion that the present crisis is a phase of another crisis that has been a long time coming. Since the 1960s, capitalism has not ceased to seek out a way of countering the blind alley of its productive system: a system obliged to grow and accumulate, on a finite planet, in which raw materials and energy resources are running out. Capitalism cannot maintain its rate of profit without accelerating the process. In order to do this, a revolution was begun in the 1980s against the poorest classes on the planet, at the same time as the process to dismantle the Welfare State and to proletarianise the middle classes got underway. Then came the onward surge from finance capital and what Naomi Klein has called disaster capitalism. It is not that capitalism can no longer allow a Welfare State, it is that it cannot even allow a society to be called by this name. It works better under conditions of generalised social disaster, for example, in Iraq. What Galbraith called the revolution of the rich against the poor is on the road to devastating the planet from a social and ecological point of view. We are on the brink of the abyss, but the only capitalist solution to the problems of capitalism is more capitalism, which is to say, to accelerate the process that will bring us into an unprecedented human disaster. It is hard to credit it: after millions of years of existence, human beings, in four hundred years of capitalism, are on the verge of destroying the planet. Capitalism has been little more than the blink of an eye, but it is proving to be fatally suicidal. And so, what is happening in Spain is just another chapter in this panorama. We are going to see many more Puertas del Sol, many Qasbahs, many Tahrir Squares in the near future. The peoples will put up a fight, and resist this madness, this heinousness. And here is my evaluation of the ‘spanish revolution’ and the elections. It all demonstrates that the terms have been reversed: the antisistema of the Puerta del Sol are in reality conservatives, among other things because they wish to conserve the planet. They also want to conserve common sense, dignity, good sense, prudence. Those who have voted PP en masse in the elections, by contrast, are partisans of the neoliberal revolution, the cruellest, the most destructive and the most radical that has ever been produced in history. They must be brought to a halt, along with this insanity, this delirium. There are growing numbers of people who see things this way. 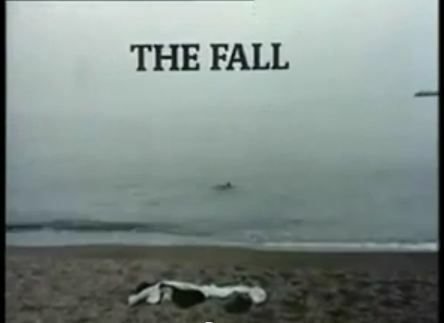 And as such, I think that after this summer, we will find that the so-called “Spanish revolution” has only just begun. Carlos Fernández Liria is a philosopher, writer and scriptwriter and teaches at the Faculty of Philosophy at the Universidad Complutense de Madrid. I think there are basically three questions we should try to answer. Is the 15-M movement a revolution? Obviously not: it has not transformed the system, nor has it brought down a government; it hasn’t even produced a proper confrontation. And nonetheless, there are historical contexts in which the only change to which one can aspire –and it is enormous- is to the very simple and unexpected one that something must happen. A miracle is simply a fact that occurs, not against the laws of nature, but against people’s expectations, and, in this case, against people’s hopelessness. The fact that it is not the right wing nor the Church that is taking to the streets, as had been happening in recent years, the fact that “savage democrats” have taken over squares and turned them into political literacy centres, is an event so small in itself, so great in its context, that we can say in a very precise way that it is in the almost-nothing where everything starts –or can start. And from the subjective point of view, there is something very symptomatic: it is not a revolution but its protagonists speak publicly of revolution, a term confined to history books and the language of advertising. Repoliticization is a revolution: this is how the demonstrators experience it. And names bring changes, at least at the level of consciousness. Is the 15-M movement leftist? Only potentially. As is happening in the Arab world with the leftist and Islamist forces, this movement is catching everyone a little on the back foot. That it is not a leftist movement is shown at the electoral level it has damaged the PP less than the PSOE and has benefitted UPyD, an authoritarian and ultranationalist party, with a very populist democratic language, but completely empty of social and economic content. Also the strong repression –and self-censorship- of the political terminology, the insistence on consensus, the dominant festive-self-referential character in assemblies of a motley composition which seek to avoid confrontation at all costs (with the system they have challenged and are challenging. 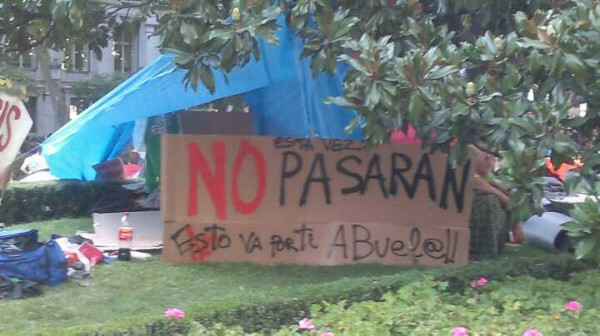 Should the 15-M movement be supported from the left? Undoubtedly. It is a unique occasion, unexpected, marvellous. Because with all that said in the previous point is less relevant than the fact that the streets have been transformed into schools; the spontaneity has been quickly organised into very serious and active working groups where all that capital of militancy and knowledge accumulated by the left under the worst conditions now finds an auditorium of strangers ready to listen and learn. What the 15-M movement has put in gear is a gigantic process of political and organisational learning that now has to be radicalised. The foundations are in place: the demand for real democracy jars objectively, not only with fraud, manipulation and lies, but with an economic structure that disables the democratic character of institutions and simultaneously produces devastating effects both socially and for labour. The intuition is already there: the idea that the enemy of democracy is capitalism. To move away from all that, in the conditions in which the anticapitalist left finds itself at the moment, as a nearly defeated minority, would be a serious mistake. All of this has only just begun and we must start with them; we do not choose the conditions, they are presented by history in a format built from misgivings, mistakes and even hallucinations. This movement is an opportunity; not the one that we would have wished for ourselves but the one that a combination of work, chance and discontent has provided us. If water happens to turn to wine, against all predictions, let’s not ask that it be a Rioja on top of that; let’s be glad about it and get to work to improve the vintage. Santiago Alba Rico is a television scriptwriter, playwright and prize-winning author. The protests that unfolded in Spain on the 15th of May indicate a turning point in the, as I see it, remarkable capacity of Spanish citizens to put up with attacks on their society. As such, they are something very positive, however, they only show outrage. It is true that this is no small thing, but, as Pietro Ingrao has indicated to Stephane Hessel, getting outraged is not enough. You have to get organised, to go into combat with a preconceived and appropriate plan, and keep the struggle going for as long as is needed. None of these questions has been adequately developed, even if the necessary and indispensable phase of outrage has just appeared. When Franco attempted a coup d’état in 1936, Spanish people did not just get outraged, they mobilised and they confronted it. The indignados must now put forward the ways in which their demands can be met; the letters to Santa Claus that adorn the walls are not enough. They must identify and fight back against the forces that oppose the implementation of their just demands. They need to establish effective organisational forms. They need to maintain unity and they need to get ready for a long struggle. No-one told them it was going to be easy; it is simply indispensible in order to survive with dignity. Pascual Serrano is a journalist and essayist. His articles have appeared in Público, Diagonal and Le Monde diplomatique. When I do these translations about 15-M, I try to pick out stuff that is as relevant as possible to an English language readership with an interest in politics in Ireland. In doing so I’m not implying “hey – we all should be doing this!” but setting out stuff that for whatever reason –political culture, small country, different history- doesn’t seem to have any counterpart here. The intention is to introduce people to voices and ideas they mightn’t otherwise encounter. If you find it useful let me know. If you would like to know more about some area in particular, let me know. This one here talks about the role of intellectuals in the 15-M movement, but also about how the political encounters of the assembly do not fit, nor should they be corralled, into the sort of conventional framework and categories habitually used for radical political organization. I am not quite sure how relevant this is to Ireland, what with there not being a great deal of intellectuals in public circulation. Nonetheless I think there are some interesting thoughts and some important details about the movement in this piece, originally published on Rebelión by Luis Martín Cabrera. Intellectuals and 15-M: a modest proposal for our self-abolition. This is not another article about the future of the 15-M movement, nor is it a more accurate theoretical diagnosis than others currently online. It is neither a prediction of the future nor a final analysis, but an attempt at an opening, to fuel the fires of rebellion and change, a modest contribution of someone who only wants to be an anonymous worker whose work is to write. In recent months rivers of ink have flowed over what the 15-M movement is and what it is not. In a well-intentioned –but not always generous- way, some people have sought to see in the assemblies in the squares the confirmation of all their theories: they are communists, they are children of the enlightenment, it is the multitude in uprising on its immanent ground to put an end to capitalism, even the beehive without workers or queen. Others, in a less well intentioned way, have shouted “they are Rubalcaba’s[i] puppets”, “perroflautas”[ii] (what fascist mind could have invented this neologism!) “ETA infiltrators”. And, finally, more than a few sectors of the left, victims of millenarian conspiracy theories that supply power with a rationality that it fortunately does not have, have seen the 15-M as being consecrated by Punset and his disciples in the new faith of the mass communicators, the apotheosis of the new style book of reinvented capitalism. It is logical that we all want to be right, we all want to see in the 15-M the confirmation of our view of the world and our longings. Everyone –and by everyone I refer here above all to the intellectuals –we want to give advice, to direct, to show, “not this way”, “this way”, “our historical experience says that..”, “don’t be naïve”. We even publish books to say “we had already told you about this”, “at last people are paying attention to me” and we don’t realise that to fill libraries with new books is not to change reality. We don’t realise that talking this way, looking in this way at the square, we are nothing more than entomologists that dissect the insurrection just as one might pull an insect apart. Angeles Díez –my personal sociologist- tells me that the most opportunistic or the most unconsciously reactionary are already dreaming about the moment when the 15-M no longer exists on the squares in order to exist solely in the libraries, a dissected butterfly, but above all, wishful thinking[iii]. However, the moment has come to invert one’s gaze, the time has come to suspend the infinite enjoyment that intellectual voyeurism provides, for a minute let us stop looking obsessively at the square, let us invert our field of vision, let us look now at ourselves looking, or even better, let us allow once and for all that the 15-M movement look at us, let us be objects and not merely subjects of analysis. To do this we could start by reading a now classic book by Francis Fox Piven and Richard Cloward – Poor People’s Movements – about the successes and failures of social movements in the United States. In this book one can read how historically grassroots social movements – the union movement in the 30s or the civil rights movement in the 60s- made their biggest gains in the moment of the insurrection and they blow out and lose their force when the leaders try to orientate and structure the protest. Many times with the best of intentions the leaders of these movements brought people off the street to shut them up in offices, they called off protests to edit statutes and form organisations that ended up being co-opted by elites that are always more calm when they know who they have to deal with and how much a leader is worth. The theses of Fox Piven and Cloward are of course highly debatable; and whilst it is indeed true that at times a powerful, structured vanguard organisation such as the Spanish Communist Party (PCE) during the dictatorship can be a tool of effective resistance, many other times the “organisation”, “the structure”, the “leaders”, “the party vanguard” and the “list of demands” can be a way of domesticating the insurrection (the history of the PCE itself during the transition is not far from this catastrophe). In this sense, the media and politicians are dying to put a face and a price on the leaders of the 15-M, but the movement has done something much more important, it has stolen Politics[iv] (with a capital letter and feminine) from politicians[v] (in lower case and masculine) just as fire is stolen from the gods, and while doing so has created new ways of speaking – “Democracy under construction, sorry for the inconvenience” –and a new time for decision making removed from the accelerated time of the markets, “we’re going slow because we’re going far”. An activist from a residents’ association explain how they defended a public school in Carabanchel from closure, because residents’ associations can be a powerful form of organisation based on the knowledge that living with others brings. A feminist explaining why domestic labour and care for the vulnerable is in the majority of cases unpaid and carried out by women because our constructs of gender have convinced us that domestic labour is not labour and care is a natural inclination of women. Two militants from the anti-racist brigades explaining how they intervene in order to stop the detention and mistreatment of undocumented immigrants; explaining what a CIE, an Internment Centre for Foreigners is, a mini Guantanamo that should also outrage us. A group of students from Juventud sin future [Youth without future] explaining that as long as we live in a capitalist world young people can have neither a present nor a future, they can only live in a time of precarity and uncertainty. Someone else talking about banks and politicians like them, and of people who are sitting in the square like us. Us against Them, the square, us, against them and their capitalist patriarchy. Someone who was interned in a psychiatric hospital talks about the need to question normality and straitjackets. Someone who asks for a minute’s silence for the disappeared under Francoism and who recounts that the building in front of us was the Security Headquarters, a torture centre. All this and much more I was able to listen to in a day during the alternative debate on the State of the Nation in the Puerta del Sol, and without attending on the first day, when the proposals for the economy, education and health were being debated. Is this not an event in itself? Do we really need to insist on “organizing” this explosion of Politics out of fear of the future? Eduardo Hernández recounts that in the few months of the movement’s life, many of the bourgeois conventions that defined the public sphere have been broken: people no longer applaud he or she who speaks well, or he or she who exhibits cultural capital, or rather they are not applauded simply for that. People applaud those who get more nervous or who lack cultural capital or words and facts, so that they can express what they have to express with their own words, which are worth as much or more than those of a university professor. Those who speak in the squares are not nobodies, they are Esther, Juan, or perhaps Silvia from the residents’ association in Vallecas. In the squares the intellectuals have to wait their turn the same as everyone else and they have no surname or CV. It is logical that many intellectuals get nervous, accustomed as we are that we are immediately given the floor, the authority and the pulpit. And this is why it is doubly pathetic to hear Agustín García Calvo –with all due respect for his achievements- pontificating in the square and giving instructions to the assembly not to propose anything, because to propose is to fall into the language of the father, of the State, of the order that one is trying to combat. If he himself cannot see that “what we have left of the people”, to use a concept of his, are these assemblies, he must be either blind or he must prefer the libertarian cliques he presides over so patriarchally. And sadly García Calvo is not alone in his enlightened[vi] delirium, the intellectuals of the manifesto “A shared dream” take up a position that is equally enlightened and despotic by signing a manifesto that oozes a left-liberal opportunist stink that bowls one over. But how can these people sign a manifesto as though they were a historical vanguard when up until a few days back many of the signatories were supporting a government that had put in place the most regressive and reactionary measures of the last 20 years? How can they speak as if they were promoters and inventors of a rebuilding of the left when the 15-M caught them having drinks in Cannes or enjoying the royalties of their last book courtesy of the Sinde Law they defended to the hilt in their weekly column? This “shared dream” must be one of remaining “professional leftists” in case the cry of “they don’t represent us” starts to apply to them too. Others with sufficient cultural capital to burn, such as Fernando Savater can allow themselves to engage directly in the epistemic violence that their platform provides, and pass off asseverations such as “the 15-M has been a useful idiot-meter to measure the level of stupidity and cynicism of certain people” as philosophy. Faced with so much gall and absurdity all that remains for us is to declassify ourselves as intellectuals, cut ourselves off completely from this herd of enlightened despots and apostles of banality and opportunism. At any rate, as intellectuals we are mutilated beings. Antonio Gramsci warned already that every man is an intellectual, since men and women who do not have ideas about the world they live in do not exist, since only the artificial and violent separation between manual and intellectual work has made it possible for intellectuals to exist with the time and sufficient privileges to dedicate themselves professionally to thinking, reading and writing. And so, the more 15-M advances, the more necessary it will be to abolish ourselves, not out of “anti-intellectualism” but because the most intellectual thing we can do right now is, even though the ego might resent it, go along to the assemblies, bring whatever it is we can to the commissions with humility, to listen face-to-face[vii], to speak without surname or qualification and, at most, feel proud of what we can do the same way as a carpenter feels proud of the table he has built. Workers with words, not respectable gentry, to each according to her need, from each according to her skills. [i] Alfredo Pérez Rubalcaba, former Interior Minister and present PSOE prime ministerial candidate for next elections. [ii] Literally, ‘dogflutes’. Contemptuous neologism coined for particular type of people with dress and comportment deemed to be unconventional, apparently identifiable by their flutes (normally recorders and tin whistles) and their dogs. [iv] ‘La Política’, in the original. [v] ‘Los politicos’, in the original. There was a Q&A session today on Público with economist Juan Torres López, whose work I have posted here before. A few questions are translated below. The last one is particularly relevant to these parts, I think. I was talking to a few people last night about how there is a debilitating dynamic in play when it comes to how discussions about economics, policy and power are conducted. What is striking here in Ireland, to my mind, is how most discussions about economics are grounded in the idea that financial institutions, or other names for power -‘the markets’, ‘foreign investors’- are the bearers of insatiable and insuperable power, without any interrogation of what that power relation actually means. On the contrary, the function of news media discussions -which set the scene for other discussions too- is to generate an acceptance that ‘the markets’ are so über alles that their power does not even need to be discussed. So to give one rather tame example – the alleged golden egg of corporation tax. Suppose you say to me, “So what is your position on corporation tax?” and I say, “Well, I think corporations ought to pay more tax. It is hardly right and proper that News International, which has immense power to influence the way people think, should also be subject to a tax rate of minus 46.1 percent, for instance (update, it isn’t)”, and then you put one finger on your nose and point the other one at me and say “Loser! But if we raised corporation tax, all the foreign investors in the country would turn their backs on us and the country would go down the pan even more quickly than it’s doing now!” and then I go “But no, Tesco is hardly going to leave Ireland just because it has to make more tax – their owners don’t call this place Treasure Island for nothing”. By the time I start arguing on the specifics I am giving way to the general point: that corporations have a lot of power in Irish society, and by admitting this, even for the sake of demonstrating that the whole question of corporation tax is by no means as clear cut as business propaganda is going to have you believe, I am accepting the power of corporations as the legitimate backdrop against which the question is being posed. So it strikes me that a democratic platform has to entail a strengthening of people’s refusal to accept these premises, and of bringing the questions back to a basic level: one that questions the legitimacy of power: in whose interests do the corporations operate? What are we really saying when we say we need to serve their interests, and so on. Q. Who governs in Greece, Portugal or Spain? The banks, the lobbies, the European Union, or the sovereign people of the country? A. It’s a very pertinent question because what has become clear from this crisis is that the citizens do not govern. Were the adjustment programmes under implementation in any electoral programme? Did anyone vote for them? Not at all. When the governments in all of Europe recognise that they can’t do what they desire (and that it is technically possible) since they have to obey the markets, something is truly malfunctioning in this system. Those who govern at the end of the day are the financial institutions, that is, the banks and the investment funds they manage (which belong to very wealthy people in many cases) which always seek to create the most favourable conditions to make money out of money itself and in the shortest time frame possible. To be aware of this allows us to stand for a real democracy that does not forget that it must first be an economic democracy. Q. It feels like all the remedies that have been put on the table are useless. Shouldn’t we conclude that the financial system rules politicians? A. Precisely. All the measures that have been applied have been useless because they have not gone to the root of the problem, which is the excessive power of financial institutions. On the contrary, they have been given more and more assistance so as to enjoy more power and room for manoeuvre over States. The measures applied, the adjustment plans, will end up impoverishing the citizenry, who moreover will see how their labour and economic rights gradually disappear, but simultaneously these measures will serve to increase the financial power of banks and investment funds. There is no doubt that this configuration must be changed. Q. If one country, unilaterally, decides to implement a left wing economic policy, what chances does it have of enduring the financial attacks of the present system and surviving? Is this viable or do they rip the country to bits in a few hours? A. We have historical experiences of how they respond: thousands of dead in Argentina, in Chile, in Brazil, the recent coup in Honduras…But maybe we should ask a different question: are we condemned to suffer always the dictatorial power of those who have money and military power to defend themselves? They always say the same thing: there is no alternative. But the reality is that there are alternatives, but they silence them. If a country has dignity, strength, cohesion and strenthens itself in the defence of its interests and its real democracy it can become invincible. This, of course is why they avoid debate about authentic democracy, transparency..and concentrate all the power in their hands. It is possible that people who were slaves asked themselves the same question that you have asked. If a slave, unilaterally, decides to stop being one, what possibilities does he or she have to survive the attacks of his/her owners, of the existing system and survive? Is this viable or do they rip you to bits in a few hours? I think you know perfectly well what happened in this domain. Translation of an article by José Antonio Gutiérrez D.
It seems incredible. They have killed Facundo Cabral. The troubadour of free and libertarian lyrics, the singer songwriter who survived a childhood of deprivation, prison, the interminable days of dictatorship. A survivor. They killed him just like that, in cold blood, 16 shots. Killers not even worth Cabral’s snot. With clairvoyance, in an interview given in Mexico in September last, he said of the killings: “There were always assholes. And kidnapping and drug trafficking exist because there are assholes who don’t have the balls to live life and prefer to murder”. They murdered him cowardly, in a street in Guatemala City called, paradoxically, Liberation. Various presidents (among them the ultra-right Juan Manuel Santos) came out to express their condolences. That was curious, since Cabral never got on very well with presidents. With none of them. In the same interview he said “I’m an anarchist, which is something worse than a communist. That’s why I have never voted, I have never got involved in politics, because it divides and I keep away from things that divide. No-one, no politician is going to come along and change our reality”. And nonetheless, with his guitar, that “machine that killed fascists” as the North American troubadour Woody Guthrie would say, gave politics the best part of his life. The good politics, which shakes indifference, which awakens consciences, which makes us realise we are not alone in the world, which rhymes with solidarity, which calls on us to stand up and confront the powerful. That was Cabral, the illiterate street child, who got his schooling in prison, who never knew his father…that prodigious heart that instead of hardening like marble with the difficulties of life, became tender and acquired that understanding of the unfathomable depths of the human being that characterised his work? Who killed Cabral? That is the question that everyone is asking. It was the killers, some say. The drug dealers, say others. A stray bullet, one hears from the more cynical. One more victim of Guatemala, a ‘failed state’, clamoured the Argentine newspapers. But those who really killed Cabral were the same ones to whom he sang his lines of social criticism. Who killed Cabral? The same ones who mutilated and murdered the Chilean troubadour Victor Jara and have turned the Colombian singer-guerilla Julián Conrado into a disappeared prisoner. Who killed Cabral? The same ones who murder trade unionists in Guatemala, the country that occupies, after Colombia, second place in the world in the record for murdered trade unionists. 16 trade unionists were murdered in 2009. 10 in 2010. And this year there have been at least 5.
Who killed Cabral? The same ones who murder hundreds of Mayan peasants every year to cleanse them from their lands. The same ones who displace thousands more to make way for mining and agro-businesses. Who killed Cabral? The same ones who, possessing the means to put an end to the misery, condemn tens of thousands of Guatemalans to the most brutal and heinous of deaths: death by hunger, death by all sorts of deprivations. Here there is no mystery to be solved. Those who killed Cabral were the rich, the powerful, the oligarchy, the capitalists, the imperialists, of all stripes, who have built a ‘failed state’ to their liking in Guatemala, and they have done so with the generous contribution of Washington, without any counterweight since the surrender of the insurgency in 1996 (take note Colombia what awaits you if the conflict is resolved with a surrender according to the terms of the ‘president’). They are the ones who feed the bands of killers just as yesterday they fed the death squads. These bands act with complete impunity, permitted by the army and the police, trained and indoctrinated as required by the US in the era of barbaric counterinsurgency. The press reports cast a smoke screen over Guatemala, as if the violence could be reduced to a mere question of drug dealers and mafias. “The main narco-state of Latin America”, according to La Nación of Argentina..forgetting, of course, that this dubious honour has been held by Colombia since the 1990s. “A country governed by Los Zetas”, say other papers, forgetting that the oligarchy controls Guatemala with a grip of iron, and that in reality the entire territory is governed by transnational firms that do what they please with communities. With whom are the drug dealers allies? Who keeps the killers going? Whom do mafia bullets kill? What interests benefit and amass wealth with this violence? When one starts to ask these questions seriously, perhaps we will find the answer to the question that today we are all asking: Who killed Cabral? I watched Debtocracy this afternoon, after meaning to do it since it came out. It’s very good and I recommend it to anyone who has any sort of interest in these things. Click play above. I was thinking a bit today following on from the translation I posted yesterday and about the whole question of citizenship and how you need access to the right information, and time to deliberate over it, in order to operate as an active citizen, as opposed to an inert constituted object with a one-off subjective lever-pulling activity every couple of years. What you get, instead, unless you have the time and the inclination to go off in search for something else, is the habitual reduction of broad political questions to narrow calculations, presented through the intercessions of economists and other supposed experts, who always disavow any sort of political dog in the fight, and who strive instead to convey a resolute and unassailable certitude in an iron logic that is intended to produce silence and abort questioning. Below is a translated piece by Vicenç Navarro titled Alternative Policies for Greece. As he himself notes, it is not that the alternative he outlines is unlikely to be implemented because it violates laws of science, but because of the political forces arrayed against it. One of the problems I see these days is a sort of consensus forming on the left in Ireland that there has to be some sort of clear alternative economic programme outlined so as to convince people that the direction headed on account of the dominant discourse is neither immutable nor inevitable. And I’m fine with that, but a lot of what I’ve seen is a bit like someone setting out a vast detailed itinerary of all the places he’s going to visit whenever he gets a car, but with a glaring absence of detail around how in blazes he’s going to get a car. To be a bit more pointed: it’s all very well to say that you’re going to take industries into democratic public ownership –and I’m down with that, don’t get me wrong-, but unless you have some compelling examples you can show people and people can experience, close to home preferably, of democratic mechanisms that can be applied to public ownership (hint: the Dáil and trade union structures are not compelling examples) then you might as well be talking about fantasy cars. One of the successes of neoliberal thought has been to convince the citizenry (with the help of mass media) that there is no alternative to the neoliberal policies that governments are implementing which include the deregulation of labour markets, facilitating the sacking of workers by business owners, cuts in wages, the reduction in public spending and public sector jobs and the reduction of social and labour rights. The cuts and measures implemented by the Greek government in response to the pressure of the “Troika” (comprising the European Commission, the European Central Bank and the International Monetary Fund) are presented as inevitable and necessary in order to come out of the crisis. In theory, the objective of such cutbacks is to reduce the budget deficit and with this the public debt, thereby calming the financial markets. The latter, it seems, are very worried since they consider that in light of the poor economic situation (the Greek economy shrunk 4.5% last year) it is very unlikely that Greece will be able to pay its debt. Therefore the banks demand enormous interest rates as a condition for purchasing bonds from the Greek state, interest rates that can reach 12%. In reality, the Greek state spends 9% of its Gross Domestic Product paying off the interest on its public debt, an unbearable situation. The “troika” still holds that through enormous austerity measures (such as cutting the number of public employees by 20%, on top of the 10% that had already been cut) and privatisation measures, the State will be able to pay its debt (which has reached 166% of Gross Domestic Product). It is totally impossible for Greece to pay its debt with such high interest rates. And it is more than likely that the “troika” knows this. Does this mean that Greece is resigned to collapse and bankruptcy? Not necessarily, since however much the “troika” and conventional wisdom of mass media might deny it, there are alternatives. For these alternatives to be considered and developed depends solely and exclusively on the political context that exists in the country. Today the Greek situation (just as the Spanish situation) [and the Irish situation – HG] is characterised by an alliance between the powerful Greek classes (who pay very little tax) and the banking sector, whether abroad (and especially that of Germany and France) or in Greece, with the help and complicity of the Greek state. A profound and progressive fiscal reform, through which the State would no longer end up having to get into debt, by collecting funds from the powerful classes that today barely pay taxes. Invest and spend this money in creating employment. The greatest problem, not only from a social and human standpoint, but also from an economic standpoint, is unemployment. Transform the public debt into Eurobonds guaranteed by the European Central Bank at an interest rate no greater than 3%. This requires a considerable change in the functions and obligations of the European Central Bank, moving closer towards what the US Central Bank (the Federal Reserve Board) does. It is likely that inflation at the Eurozone comes in at 2%, which means that the interest on Eurobonds would be 1%, with which Greece could pay its debt easily over a 20 year period (bringing it down to the limit of 60% of GDP), a reasonable time frame. The US paid the debt it acquired during the Second World War in 50 years. If GDP were to grow by 3%, which could be achieved by investing in job creation, by raising public spending, Greece would no longer have a problem. Now, all this entails breaking down the class alliance, carrying out the necessary fiscal reform, and for the ECB to buy Greek public debt and transform it into Eurobonds. Can you see this happening? It isn’t likely. But not for economic reasons, but for political ones. Seeing as it’s summer school season in Ireland, when the country’s faculties for critical thought are in full and glorious bloom, and the nation huddles rapt beside the wireless to seize on morsels of the life of the political mind, carefully curated by the redoubtable broadcasting services, I thought I would put together a couple of pieces relating to the critical awakening in Spain that has flowed from the 15-M movement. The first one is from the opening statement of the People’s Debate on the State of The Nation. It was held just over a week ago in the Puerta Del Sol, designed to coincide with the Debate on the State of The Nation taking place in the Spanish national parliament, which is a short dander up the street. According to its organizers, the intention was to host an alternative, critical and constructive debate that dealt with the real problems of the population. It would be the citizens themselves who spoke, at the margin of the political speeches taking place in the parliament at the same time. More than a thousand people turned up to take part in the debate, and 60,000 watched online. There were a few different themes – Economics, from citizens to commodities; Social rights versus privatization; Politics and the media – dangerous liaisons; Citizenship – between life and the euro. If ‘solidarity’ entails, among other things, a programme designed to drive down wages and living conditions for the vast majority of people living in the State and a crippling debt burden forced on the population by the European Central Bank in order to save financial institutions, you would have to wonder what sort of thing Gilmore would classify as indifference: a neutron bomb? Here is the opening statement, from the People’s Debate on the State of The Nation, sourced here. Why the People’s Debate on the State of The Nation? Because we want to denounce the chasm that separates citizens from political representatives. Because the problems of citizens do not echo in the debate in the Congress of Deputies, which is laden with electoral calculations and political marketing. The social and economic fracture that this crisis is provoking is incompatible with an institutional debate that is plagued with insults and point-scoring, perfectly predictable and that has no room in the script for answering the pressing demands of the citizens. As such, we want to set out critical debate and thinking. We do not resign ourselves to submissively accepting the self-interested discourse that maintains only one type of politics is possible. We fight determinedly against monolithic thinking that seeks to gloss over any hint of disagreement, and we uphold intellectual creativity that questions the existing social and economic models and persists in the search of just and sustainable alternatives. The reflections of speakers and collectives, which are authored solely by the people who share them, will help sustain this necessary debate. Their insights will be subjected to the enriching criticism of all, in the knowledge that through this, rather than weakening them, we will help to strengthen them. With this debate we reaffirm our democratic convictions in the face of those who applaud and support the illegitimate power of the markets. Those who with their uncontrolled greed have plunged us into this grave crisis cannot, on top of that, usurp our right to decide. They have ransacked our economies and they now seek an even more ambitious booty: to deprive us of our status as citizens and relegate us to that of mere consumers. As such, against the twilight government of the speculators and rentiers, we lift our hands to speak and raise our voices in this public square, transformed, now, once again, into the symbol of the legitimate expression of the will of the citizens. If political power does not listen to the clamour rising from initiatives such as this one today, the barely three hundred metres of distance between this debate and that of the Congress of Deputies run the risk of becoming an unbridgeable abyss. This is an event of the people for the people. We are aware of the little time we have to deal with so many subjects that are a source of concern for the citizenry, and we apologise in advance to all the platforms, collectives etc that would have liked to participate but will not be able to. This is the talk from that same event by Pascual Serrano, a journalist who writes extensively on media power. Sourced here. “Real Democracy Now” has to reach the media too. In dictatorial regimes, despots with their armies, police forces and judges silence troublesome social collectives, they relegate to silence those honest intellectuals who criticize them, and they do not provide the thousands of citizens who confront power with the opportunity to speak. For its part, dictatorial power never ceases to claim that those who criticize it are a minority, that they use violence and that they want to subvert order. It is curious, but it is precisely this, in our supposedly democratic regimes, which is the function of mainstream media outlets. At one time it was believed that the media was going to be the fourth power, that is, the citizen power that would exercise vigilance over the other three: executive, legislative and judicial. We have discovered that in this system that they call democracy, these three powers neither represent us nor are they legitimate, because their decisions have no relation to either the promises with which they were elevated to their position, or to the desires of the citizens. But it is worse still with the fourth estate that was supposed to oversee them. If the first three have been placed in the service of the markets, the fourth is simply the market. The watchers have become the shock troops of the market, the fundamentalists of the regime that is strangling democracy. And they have become this because they are not even media businesses – their owners are business conglomerates with shares and interests across all sectors, from telecoms multinationals that control the channels for transmitting information to key banking groups for the finance sector. And their viability depends on big advertisers from businesses such as oil, cars, and big supermarkets. These media are no fourth power – they are the power of money. They have no interest in truth, nor in democracy. On the contrary, they will defend those banks that evict those who do not pay their mortgages, they will defend big businesses that use sackings to improve profits, and corporations that destroy the planet in order that they keep on buying advertising, private hospitals and universities which will surely put in more advertising than public service and moreover will have the same owners as the banks that finance theem. And of course, these media will support all politicians that propose more power for the market and less for the citizens. The newspapers, television and radio stations, with their columnists, editorials, commissioned reports and manipulated news will throw themselves like hyenas against anyone who dares attack the privileges of the market, because they are created to defend them. And all this happens via media that no-one has chosen. Because we don’t choose them when we go to the kiosk or we turn on the television: they live through and for their banks and advertisers. Media that no-one can control, that can lie with impunity and without counterweight. Article 19 of the Universal Declaration of Human Rights establishes the right to receive “information and ideas”. But in order for citizens to enjoy the right to receive information and ideas the right must be guaranteed to others to broadcast information and ideas. And that right, as we all know, is provided by an oligopoly of a few media firms. Because the media do not practice the right to freedom of expression, they exercise the right to censorship, since they decide what gets published and broadcast, and what is not. After that we have the Spanish Constitution, the first constitution of a European country that includes the citizen right to receive “truthful” information. But there is no legislation that develops this: in the previous legislature Izquierda Unida set out the Journalist’s Statute for approval in that parliament. This laid out systems of public control and participation that would guarantee the independence of the journalist from his/her firm and the truthfulness of reporting. The Statute was approved at committee level and the two big parties took it on themselves to never bring it to a plenary session and it was consigned to oblivion. The result is the media’s loss of credibility. June 8th last, the most-watched programme on our screens was Weather 1, on TVE1, which swept all before it with a 20.8% share. Thirty television channels and citizens reach the conclusion that the most interesting thing on was the weather forecast. Years back the weather forecast was a joke because we used to say it never got it right, but now we have realized that it’s the only reliable thing on TV. We also hear talk about ethical and deontological codes for journalists. But in media enterprises there is only one code that operates, and it’s the same as with any enterprise. If what you do displeases your boss, you’re out. That’s the only code that works when job security is not guaranteed. We should not be naïve – media under the empire of the market will never satisfy the need for truthful information among citizens. They need to be profitable, and for this they need to win audiences at all costs through trivia, spectacle and morbid interest. They cannot confront major shareholders who are the protagonists and beneficiaries of a neoliberal model that is incompatible with democracy. They cannot ill-treat those who furnish them with advertising revenue –big media does not live because of us, a newspaper costs the double of what we pay for it (the other half is paid by advertising) and in the case of television and radio stations these are free because their money comes from other sources, and we already know that whoever pays gives the orders. And here comes the big question: what is to be done? My answer is: democratize them. We need a real democracy now here too. Just as we must prise away from the market its power over the decisions of governments, we must prise away its control over communications media. Only a public bank can serve citizen interests and not that of its shareholders, only a public school [not in the UK sense – HG] can assist a deprived immigrant child, only a public hospital can attend to a disadvantaged old person when they get sick. And only a collective public media will be able to represent plurality and will allow us to demand truthfulness. Public and controlled by the citizens, with editorial councils where social collectives are represented, with a financing that does not depend on banks, where the citizen’s right to inform and be informed is attended to. Because either the media are ours, or they are against us, against the citizens.